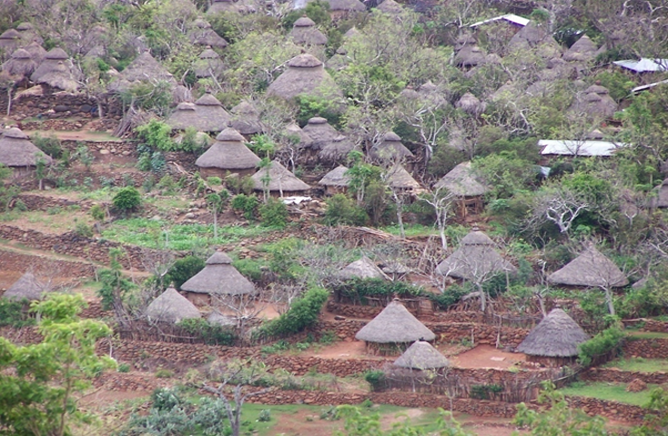 The Konso live in dry stone walled towns (Paleta) located on high hills selected for their safety strategy and defense purpose. The Konso villages are remarkable for their beauty and simplicity of workmanship, constructed entirely from natural materials, cultivated or constructed from the surroundings. The village is ringed by dry stonewalls, at least a meter thick and three meters high.